I love this!!! Butterfly Studio Salon owner – Kattia Solano – offered up some amazing hair and beauty tips to LATB and I just had to post! There are some major scores here! Want to tame your fly-aways? Consider using a fabric softener sheet. Brilliant. Simply brilliant. 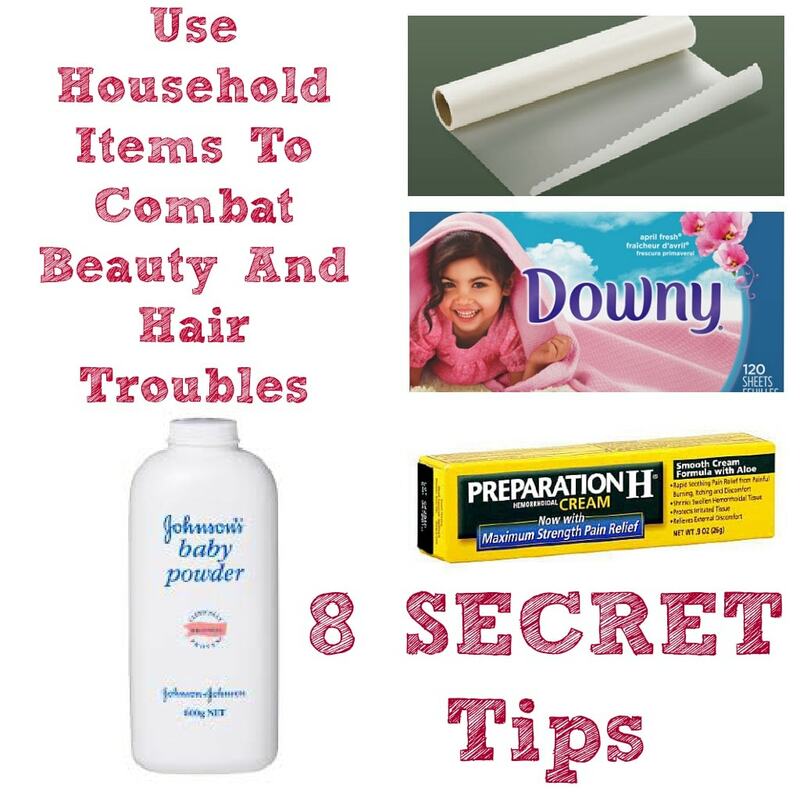 Fabric softener cloths can help tame static and fly-aways. Place 1-2 inch pieces of hair at the root over a fabric sheet, fold over (left to right) until hair is completely covered and slowly pull the sheet down to the tip. Repeat on all strands that need taming. Old tights can make great hair ties by cutting 1 inch strips from the ankle. The thicker the band, the higher your ponytail, top knot or bun will be. Use a body cream to achieve a sleek up-do if you don’t have any pomade handy. Baby powder or cornstarch works great for oily hair touch ups on roots and bangs if you run out of dry shampoo. Wax paper from your kitchen, or even toilet seat covers if you’re in a public restroom, can be a great substitute for blotting papers. Your kitchen is full of beauty secrets. Combine olive oil, brown sugar and some fresh lemon juice for an instant exfoliator/face scrub. After a long night out, dab some Preparation H (that’s right!) under your eyes if you’ve run out of your favorite eye cream. The anti-inflammatory depuffs and brightens. If you have unruly brows in the morning, grab a toothbrush for quick grooming.